IUI 2018 will be held at Hitotsubashi Hall (National Center of Sciences Building) located in central Tokyo close to the Imperial Palace. 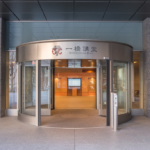 Located in the central Tokyo, the hall has a very good access from three metro stations. From there, you can also walk to the National Museum of Modern Art, Tokyo and the Science and Technology Museum within ten minutes.